Male models. There’s not much to say about them. When I see one in person I always wonder what the hell they think of themselves. I’d also like to see one on the set of a photoshoot working his angles, seems like it would be weird. Anyway here are my favorite male models for obvious reasons; one is completely covered in tattoos and the other is so androgynous he models womens clothing too. Andrej Pejic has long flowing blond hair and is over six feet tall; the perfect combination for both male and female models. He’s modeled for Marc Jacobs, Jean Paul Gaultier and numerous other top designers. He is the creme de la creme of high fashion models, posing as both male and female. He’s walked runway as a dude and as a chick the next night. He is so freaking beautiful it’s burning out my eyes. 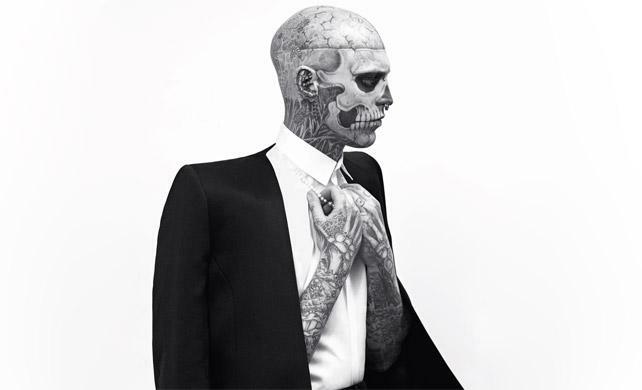 Rick Genest has spent over $17,000 on tattoos since the age of sixteen. 80% of his body is inked with amazingly detailed views of what lies underneath his skin. He certainly only has one look, just like Derek Zoolander, but it’s so striking no one freaking cares. 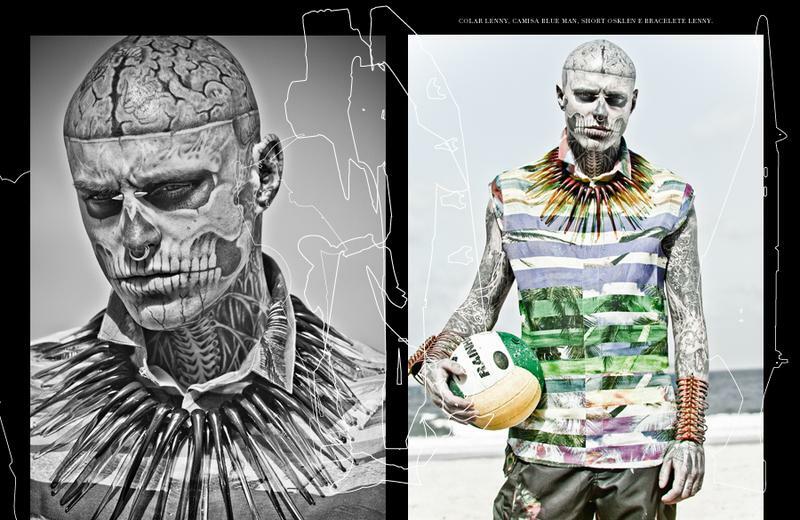 He landed the coveted Mugler F/W ’11 campaign after being found on Facebook by the creative director. 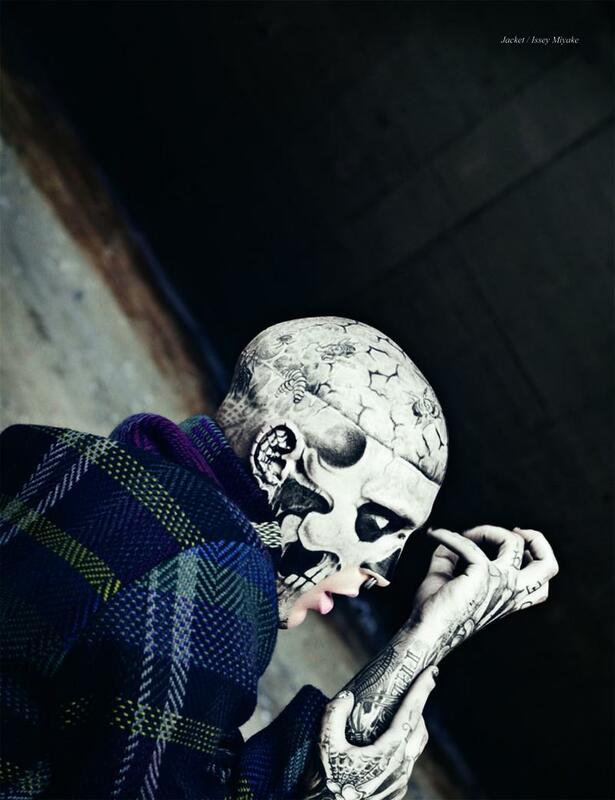 He’s so hot everyone wants the ‘zombie boy’ photographed in their clothes. Both models encompass a extreme and take the term ‘male model’ to the next level. Great job boys. I think I need to tattoo my whole face and get a job.